May 6 1957 - Birth of Didier Delsalle, French Helicopter test pilot, first pilot to land a Helicopter on Mount Everest. May 6 1908 - The Wright brothers fly for the first time since 1905, at Kitty Hawk. Wilbur pilots the 1905 Flyer III, modified so that the pilot and a passenger can sit erect, on a flight of just over 1,000 feet. May 7 1937 - The first successful pressurized airplane cabin is achieved in the first flight of the Lockheed XC-35. May 8 1935 - Amelia Earhart makes a non-stop flight from Mexico City to Newark in New Jersey, in 14 hours 19 min. May 9 1978 - David Cook makes the first crossing of the English Channel in a powered hang-glider. May 9 1957 - 1st Lt. David Steeves departs Hamilton AFB, California for Craig AFB, Alabama, in T-33A-1-LO Shooting Star, 52-9232, and disappears without a trace. Declared dead by the Air Force, he emerges from the Kings Canyon National Park in the Sierra Nevada Mountains 54 days later, having ejected from the jet after an in-flight emergency. He stumbled on a ranger cabin during his ordeal where he found fish hooks, a canned ham and a can of beans. Unable to locate the downed trainer, officials eye him with suspicion and rumours that he traded to jet to the Russians, or flew it to Mexico, dog the pilot and ruin his military career. He returns to civilian life and eventually dies in an aircraft accident in 1965. Finally, in 1977, Boy Scouts hiking in the national park discover the canopy of his T-33, too late to vindicate the pilot's story and reputation. May 9 1912 - Lieutenant Commander Charles Samson becomes the first person to fly an aircraft off the deck of a moving ship. He takes off in a Short S.38 from the deck of HMS Hibernia in Weymouth Bay. May 10 2012 - The women's international record-holder for number of flight hours logged as a pilot in a lifetime, Evelyn Bryan Johnson, dies at the age of 102. Between her first solo flight on 8 November 1944 and her retirement from flying in the mid-1990s, she had logged 57,635 hours (about 6� years) in the air. May 11 1934 - First flight of the Douglas DC-2. May 11 1927 - Charles Lindbergh lands his new Ryan airplane, the Spirit of St. Louis, in St. Louis after a record non-stop overnight flight from San Diego of 14 hours, 25 min. May 11 1903 - Richard Pearse is claimed to have made a flight of around 1,000 yards (900 m), landing in the semi-dry bed of the Opihi River. May 12 1964 - American flyer Joan Merriam Smith lands her Piper Apache to complete the second round-the-world flight by a woman. She took 56 days. Zimbabwe, Gweru: An Karakorum-8 (K-8) Air Force Jet of the Air Force of Zimbabwe crashed at AFB Gweru after developing a fault. The pilot's successfully bailed out. USA, PORTLAND: A single engine Piper PA-28 Cherokee not registered with the FAA went missing over Oregon or Washington. 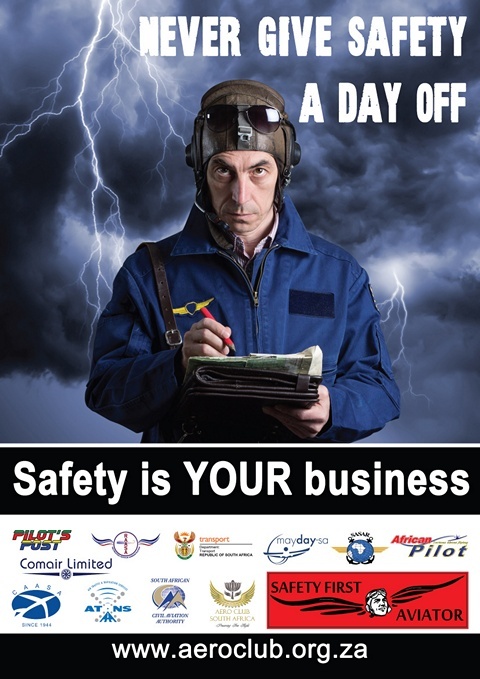 It appears as if the pilot did not have a current license to fly. USA, Austin Texas: A 46-year-old flight nurse died after falling from an EC-145 helicopter whilst hoisting a fallen female hiker to safety. The nurse died at the scene, the hiker was safely transported to hospital. USA, Honolulu: A man who was flying a drone over a lake of lava at Hawaii Volcanoes National Park was tazerd with a stun gun by a ranger who had repeatedly him to bring the drone down. He also allegedly refused to identify himself. The man was taken to a Hawaii County police cellblock where he spent the night and was released in the morning on $500 bond. USA, Colorado Springs: Two men walked away from a plane crash in Black Forest. According to pilot Matt Tanner, he had rented the aircraft for the day and was demonstrating a stall to passenger Issac Brumm when they went into an upright spin and crashed upside down. The plane was a total loss; the 35-year-old pilot and 18-year-old passenger walked away with little more than bumps and bruises. Photo credit: Jim Raeder Chance Vought F4U Corsairs are among the most beautiful and distinctive warbirds to emerge from the World War II era, and this year EAA AirVenture Oshkosh attendees will have an opportunity to see a striking example. 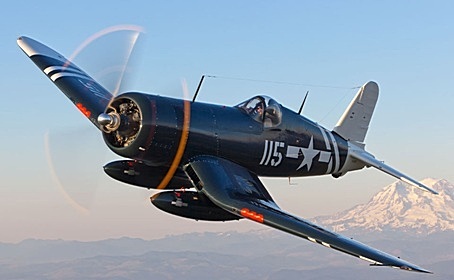 A FG-1D Corsair from Olympic Flight Museum of Olympia, Washington, will fly to Wittman Regional Airport for an early-week arrival (exact date to be determined) and will be on display for the duration of the July 20-26 fly-in convention. The Goodyear-built Corsair has not been to Oshkosh since it was brought here by its former owner, the Canadian Warplane Heritage Museum, which owned the aircraft in the 1970s-1990s. Restoration manager and museum board member Brad Pilgrim calls it the "prettiest, most perfect Corsair" he's ever seen. "Only the radios are different from the original, other than some slight engine mods," he said. "Otherwise she's bone stock." The Goodyear Aircraft Corporation in Akron, Ohio, delivered the airplane, BuNo 92436, to the U.S. Navy on July 10, 1945 - too late for combat action during WWII. It was placed with the Marine Carrier Aircraft Service Unit 1 (MARCASU1) at Marine Corps Air Station Ewa (MCAS EWA) in Pearl Harbour and was immediately assigned to Marine Fighting Squadron 213 (VMF-213). The airplane was shipped back to Naval Air Station San Diego in April 1946 for reconditioning and repairs before being assigned to the Naval Air Reserve Training Command at Squantum, Massachusetts. In later years it served in various Naval Reserve squadrons including Florida, Colorado, Texas, Michigan, and Seattle before final assignment at NAS Dallas. In February 1954 BuNo 92436 went into storage at Litchfield Park, Arizona. In October 1959 the Corsair was purchased by Alumet Smelters of Long Beach, California for $485.67, but was "rescued" from the scrap yard by Ed Maloney, founder of the Planes of Fame Air Museum in Chino, California, for $650. The Desert Aviation Company, of Las Vegas, acquired the Corsair in 1972 and a year later was acquired by the Canadian Warplane Heritage Museum in Ontario. After participating in numerous air shows through 1998, CWH sold the Corsair to a private owner, Brian Reynolds, who loaned it to the Olympic Flight Museum. In 2002 Reynolds decided a full restoration was due, so it went to John and Nancy Lane and their crew at Airpower Unlimited in Jerome, Idaho. Eleven and a half years and 38,000 hours of labour later, the museum has one of the most in-depth Corsair restorations ever completed. The paint scheme is from its military history, specifically the VMF-213 squadron in Hawaii, during which the Corsair performed carrier operations off of the USS Saidor. The identification number "115" is the same number this Corsair carried when it was painted in Royal Navy colours during most of its life as an air show performer, paying homage to its warbird past and commemorating its military history. Reynolds' FG-1D Corsair won the Military award, as well as the People's Choice trophy at the 2014 Reno National Air Races. The Breitling Jet Team successfully completed their first-ever performance of the American Tour at the country's second largest airshow, the Sun 'n Fun International Fly-In & Expo. Their first performance occurred on Tuesday, April 21 for crowds of thousands, and more throughout the weekend. The Sun 'n Fun International Fly-In & Expo marks the first stop on the Breitling Jet Team American Tour, with an additional 20 performances scheduled in 2015 across the United States and Canada. The team wowed crowds with their deft manoeuvres, such as the Ocean Master Wave and Blackbird Formation, at times flying within just a few feet of each other, at the opening of the prestigious aviation event, and the team has additional performances scheduled throughout the weekend. Their next stop will be the Manassas Airshow in May, followed by the Jones Beach Airshow in New York. For the full schedule, please visit www.breitling-jet-team.com . 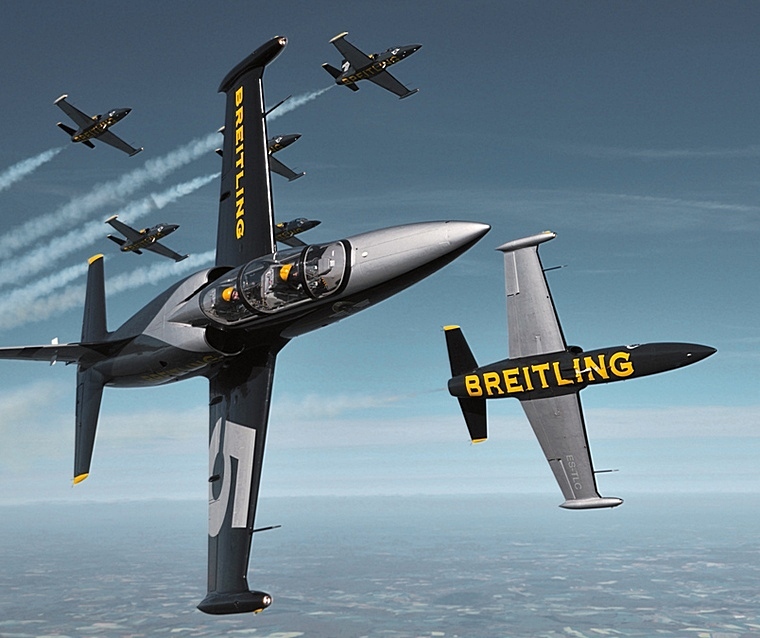 The Breitling Jet Team is comprised of seven L-39 C Albatros jets that can reach speeds of up to 565 mph - for the first time customized with "American Tour" on the tail of the aircraft in honour of the tour. Widely recognized for their precision and seamless coordination displayed throughout high-speed aerobatic performances, the France-based team brings their unmatched flying to North America for the first time, mirroring the quality and precision of a Breitling timepiece. 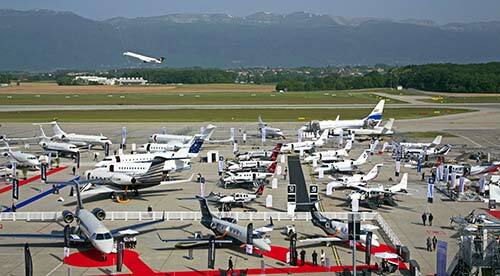 The 2015 European Business Aviation Convention & Exhibition (EBACE2015) features the most extensive business aircraft static display in Europe, making it a must-attend show for business aviation professionals and potential aircraft buyers. 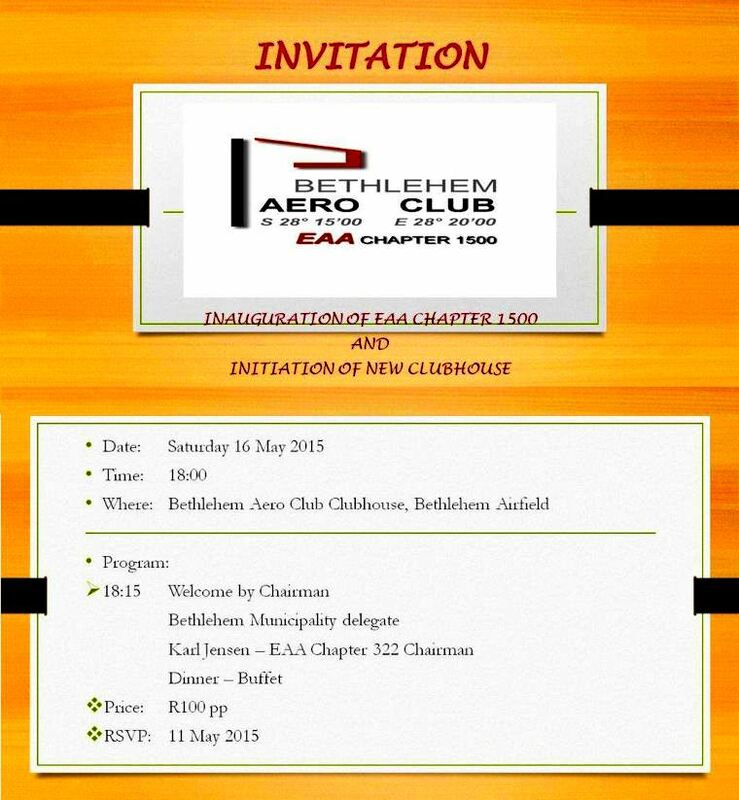 EBACE is also a popular location for aircraft, engine and component manufacturers to debut or announce new products. "EBACE allows potential buyers to explore over 60 business aircraft and dozens of features in one location alongside some amazing scenery," said Joe Hart, NBAA's director of static displays. "The static display at EBACE is simply the largest assembled collection of business aircraft in Europe." EBACE features aircraft of all types built by all of the major manufacturers. Whether a potential buyer is in the market for a brand new helicopter or a pre-owned turboprop, EBACE offers the buyer an opportunity to see the aircraft close up. This year the HondaJet will travel from Japan to Europe, and for the first time will be part of the EBACE static display. Following EBACE, Honda reports a planned European tour to offer demonstration flights at major cities in six countries including Switzerland (Geneva); U.K. (Farnborough and Birmingham); Belgium (Antwerp); France (Paris); Germany (Munich, Hamburg and M�enchengladbach) and Poland (Warsaw). "We are looking forward to the HondaJet's debut in Europe at the EBACE2015 static display," said Hart. "One of the most exciting aspects of EBACE is the potential for new product debuts or announcements. EBACE2015 will not disappoint. In addition to the HondaJet's first appearance at EBACE, we expect at least one new model introduction at the show." EBACE2015 runs 19 to 21 May in Geneva, Switzerland. Cessna Aircraft Company, a subsidiary of Textron Aviation Inc., a Textron Inc. (NYSE:TXT) company, this week during the Sun 'n Fun International Fly-In and Expo is kicking off a celebration of the 30th anniversary of initial deliveries of its Caravan 208 single-engine utility turboprop. 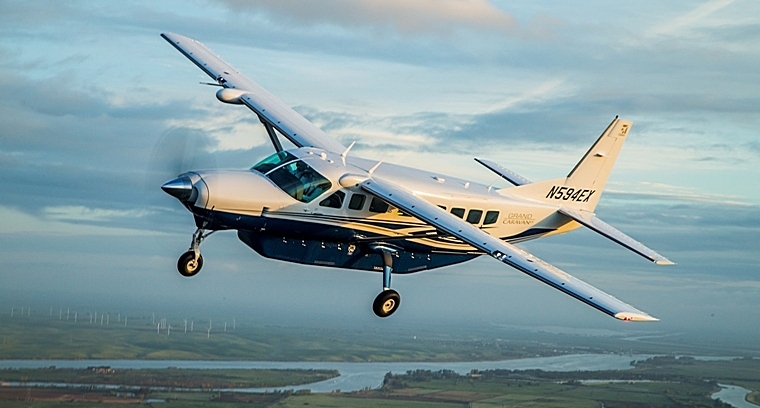 "Three decades after entering into service, the Cessna Caravan still defines the modern single-engine utility segment," said Christi Tannahill, senior vice president, Turboprop Aircraft and Interior Design. "We continue our robust investments in the Caravan family based on customer needs, with the latest being the Grand Caravan EX." Conceived as a rugged utility aircraft with low operating costs, the Caravan was designed for use in remote areas with extreme weather changes, mountainous terrain and rough landing conditions. As the aircraft's versatility became renown in all corners of the world, the Caravan began to see wide use in global markets by a variety of customers, including government agencies, law enforcement and militaries, air ambulance operators, freight haulers, corporations and humanitarian organizations. The first Caravan was delivered on Feb. 25, 1985, to an air service provider in Alaska, and the next day Federal Express (now FedEx) took delivery of its first Caravan, which included a belly cargo pod and other modifications specially designed for the express delivery pioneer. 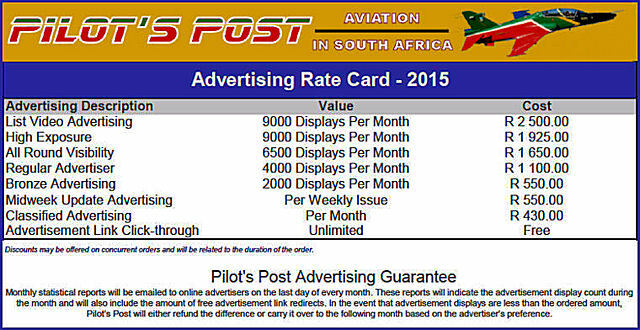 Today, FedEx, through contracts with Part 135 operators, makes use of about 240 Caravans reporting a dispatch reliability rate in the 99th percentile. Later this year, the company expects to deliver its 2,500th Caravan, and the fleet is now certified in 100 countries with more than 13 million flight hours amassed. The Caravan's unique combination of power, range, versatility and short field performance make it ideal for a wide range of missions, while its simplicity and durability make it the first choice for operators needing dependable air transportation. Throughout the years, the versatile design has helped businesses expand globally while remaining the reliable and rugged workhorse for which it was designed. Cessna currently offers four Caravan models: the Caravan, the Grand Caravan EX, the Caravan Amphibian and the Grand Caravan EX Amphibian. The Grand Caravan EX features a Pratt & Whitney Canada PT6A-140 engine rated at 867 horsepower to give the upgraded model a 38 % improvement over the rate of climb of the previous Grand Caravan model, a 350-foot reduction in take-off roll and a 10-12 knot cruise speed improvement on average. South Africa has been appointed as the Chairperson of the International Civil Aviation Organisation's Aviation Security Panel. The appointment comes just months after the United States and the European Union have given their thumbs up to South Africa's aviation regulatory system on aviation and air cargo security. The announcement was made at the recent ICAO Aviation Security Panel meeting held at the agency's headquarters in Montreal, Canada. The country will be represented by the Director of the South African Civil Aviation Authority, Ms Poppy Khoza, making her the first woman to take up the position. Prior to the appointment, South Africa served as the Panel's Deputy Chairperson for two consecutive terms. ICAO's Aviation Security Panel is tasked with enhancing civil aviation security across the world by, among others, developing and coordinating an effective global policy and legal framework in response to the evolving threat to civil aviation. It also sets global aviation security standards, which are then approved by the ICAO Council, in order to safeguard civil aviation operations against issues related to terrorism and any matter threatening aviation operations. As the Panel conducts its business it gives consideration to economic, operational and other impacts in civil aviation and provides advice on strategic direction on aviation security matters. The Panel also identifies and examines new and emerging threats and develops appropriate mitigating measures. Through close collaboration with other agencies, the Panel also coordinates counter measures against threats to civil aviation operations. During meetings, the Panel also discusses civil aviation incidents as and when they happen, for instance the 9/11, and the French Alps tragedies. Commenting on the appointment, Ms Khoza said, "The appointment is a demonstration of trust and faith by the global aviation community in South Africa's capabilities on aviation matters and specifically aviation security. It is certainly an enormous challenge; but a challenge that is surmountable. This move bodes well for the advancement of the transformation agenda which must continue as women play a meaningful role in all sectors previously dominated by men"
Ms Khoza plans to use the tenure to actively advocate for the continued elevation of the aviation security agenda, particularly among States across the continent. "Recent tragic events call for greater cooperation amongst all aviation role players. The global community needs to share pointers on successes and challenges faced in aviation security. The need for appropriate aviation security risk management remains an issue for every country. Moreover, the challenge is for various States to implement measures against the specific threats which they face, while finding a balance that would not stifle aviation activities." She is also keen on advocating for transformation of the aviation industry which is predominately male dominated. "It will be fulfilling to witness an increase in the number of capable women taking up senior positions in the aviation industry. The same applies to those that are from so called developing countries," she said. Ms Khoza acknowledged ICAO's role in terms of passing various SARPs over the last four decades and ensuring global collaboration on aviation security measures. "ICAO has made great strides in guiding the global community on aviation security matters. We just need to continue with the great work that ICAO has been doing; putting particular emphasis on constant re-evaluation of systems and processes employed. Evolution is a consistent necessity as those with malicious intent are always on the prowl for weaknesses in aviation security systems. This puts the onus on authorities to constantly improve aviation security risk management systems in order to remain a yard ahead." � Helen Chachaty / Le Journal de l'Aviation . Dassault Aviation is honoured by Qatar's decision to acquire 24 Rafale aircraft to equip its Air Force. The contract between the State of Qatar and Dassault Aviation is to be signed on Monday, May 4 in Doha in the presence of Mr Fran�ois Hollande, President of the French Republic. 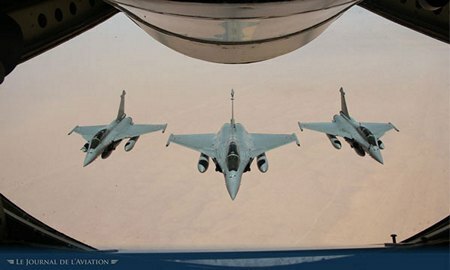 "This new success for the French team demonstrates the Rafale's operational qualities and confirms the confidence that countries, that are already users of the Mirage 2000, have in our company", said Eric Trappier, Chairman and CEO of Dassault Aviation. Sonex Aircraft is proud to announce that a formal Business Collaboration Agreement has been signed with Navmar Applied Sciences Corporation (NASC) for research, engineering and production of Unmanned Air Vehicles (UAVs), beginning with a Xenos-based line of aircraft dubbed "Teros." As the next addition to NASC's line of UAVs, which includes the TigerShark and Mako series of aircraft, the Teros will be an AeroVee Turbo powered aircraft based on the Xenos Motorglider design that is capable of carrying significant fuel and mission payloads. The Teros is intended to provide extended range, high altitude performance in a wider range of environments and performing even more challenging missions than NASC's existing TigerShark series, which has performed exceptionally well for the company's Department of Defence customers. 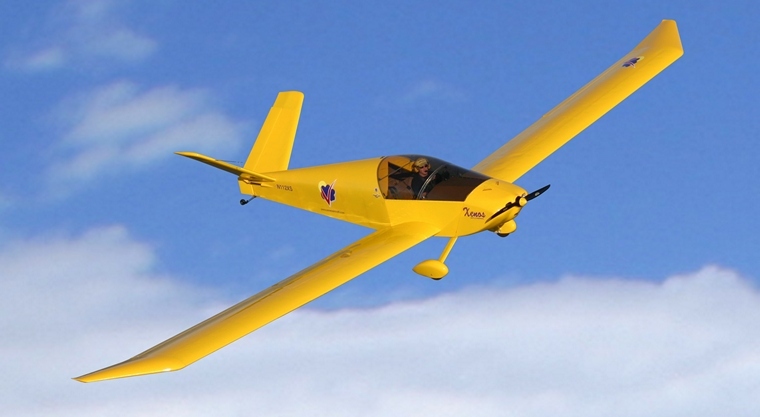 "The Xenos Motorglider is a perfect fit for UAV application," stated Sonex Founder John Monnett. "The UAV mission is something we've been envisioning since the design of the Moni Motorglider in the 1980's, combining performance and efficiency with extremely simple and economical construction." "Collaboration with NASC offers a wonderful opportunity for Sonex Aircraft, LLC to diversify its markets," quoted Sonex General Manager Mark Schaible. "Such diversification only serves to strengthen the level of service and quality offered to our existing customer base through growth and increased stability. When it comes to innovation, there's no question that Sonex and AeroConversions customers benefit from seemingly unrelated Sonex R&D efforts via new product derivatives that have the potential to reach the homebuilt aircraft and engine marketplaces. A prototyping and production agreement with NASC leverages our new in-house quick build production capability perfectly, allowing Sonex to maintain a strong production department with a steady workforce for consistent production of both Sonex Aircraft Quick Build Kit airframes, and airframes for NASC at an increased capacity." Sonex and NASC officials selected the name "Teros" for this new line of UAVs as an extension of the name "Xenos" in the Greek language. While Xenos can generally be interpreted as a traveller with a diversity of roles, Teros is interpreted as a guardian who "watches over." Ship sets of Teros aircraft will be produced by Sonex Aircraft, LLC at our Oshkosh, WI headquarters and delivered to NASC for integration and operation as UAVs. The first prototype Teros is slated for delivery to NASC in June 2015. 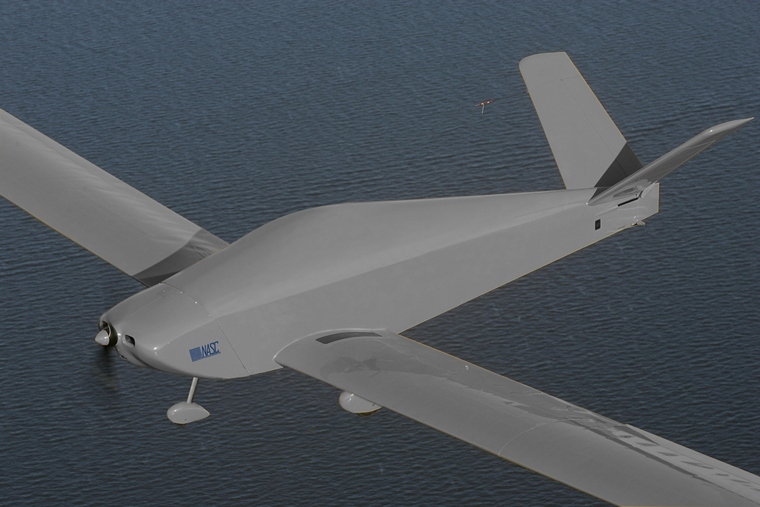 "Sonex Aircraft, LLC was selected to produce the aircraft for conversion to a UAV based upon their reputation for excellence in engineering, quality production and customer support," commented Chris Patton, NASC's Unmanned Aerial Systems Group Manager. "We look forward to expanding our relationship with Sonex to meet our customers' ever-evolving mission requirements." NASC will be announcing details and promoting the new Teros line of UAVs next week Association for Unmanned Vehicle Systems International (AUVSI)'s Unmanned Systems 2015 conference and trade show in Atlanta. The Boeing B-1B Lancer celebrates its soon to be 30th anniversary with the U.S. Air Force at Dyess Air Force Base this week - marking one of many milestones in a legacy that will continue long into the future as Boeing's B-1 team ushers the supersonic bomber into the digital age with new upgrades. The latest upgrade, a trio of updates known as the integrated battle station, are ensuring the B-1 meets today's mission requirements and further establishes a solid foundation for additional modernization in the decades to come. "Boeing's integrated battle station work improves the aircraft's performance as a global strike platform," said Dan Ruder, Boeing's Advanced Programs Manager. "We're installing all-digital cockpit displays and connecting the bombers to a global communications network, capabilities that allow for greater agility and situational awareness." "The adaptability of the jet has ensured its relevance - not only from the early 1990s to today, but from today well into the future," said Col. Jason Combs, 7th Operations Group Commander at Dyess AFB, one of two bases that house the B-1 fleet. "I've never seen the jet as capable as it is today. When I first flew the B-1 in 1997, I recall debriefing using a handheld tape recorder, whereas today you go in the cockpit and have multiple screens with digital displays. It's amazing how far the B-1 has come," said Col. Combs. "Boeing's role in maintaining the readiness of the nation's bomber fleet is one we take seriously - our mission is to support the safety and effectiveness of our nation's service members. We look forward to supporting the B-1's mission for years to come," said Rick Greenwell, Boeing's B-1 Program Director.